Think all exhibition companies are the same? Think again. When you’re looking for a company to design and build your next exhibition stand you have a huge number of exhibition stand design and build companies to choose from. But how do you choose the one that’s right for you? They’re all the same, right? You see a salesman, who passes on your brief to a designer, then the estimator costs it and the project manages runs the job until you see it on site. That’s the way it works, surely? At most companies, yes, but not at MPD Creative. We are passionate about stand design, which is why we believe that the MPD way is the best way. You don’t deal with separate salespeople, project managers or estimators. Instead, from start to finish you deal with designers who are trained in the whole process from brief to site. We sketch ideas for you at briefing meetings, talk costs with you at design meetings and organise all the elements of the exhibition world to deliver you a great exhibition stand. Our maxim is ‘Listen – Design – Deliver.’ It’s that simple. Click here to see how the way we work compares to the norm. What do YOU want from your Exhibition Stand Builder? My exhibition stand needs to be on time, every time, GUARANTEED. I want my exhibition stand builder to LISTEN to me! I need a company to handle everything for me because I’m so busy. I want help and advice to make the most of the show and my budget. I need great support on site and help setting up my exhibition stand. I would like a gorgeous good looking designer to deal with, not a salesman. mpd:tv – bite sized bits for easy exhibiting! All your questions about exhibitions answered, with a new episode every week. 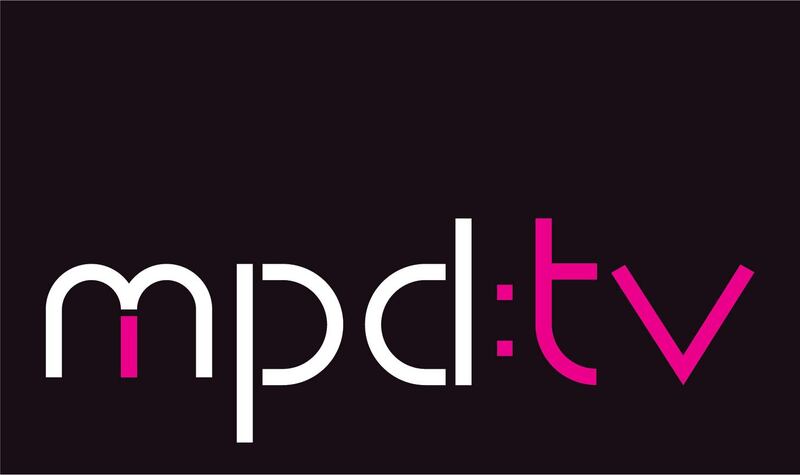 Go to the mpd:tv page to watch. Have you ever turned up to your stand expecting to set up and been greeted with something similar to this? Picture the scene: you’d agreed a time with your stand builder for you to turn up on site and set up your products and displays. Hell, you even came a bit late because you’d forgotten from last year just how long it takes to get through the queue with the van, and Dave from accounts had the keys and his cat was ill this morning… but you’re all finally at the show and raring to go. But your stand isn’t. In fact it’s far from it. Instead of setting up and getting to the hotel in time for dinner, a relax in the bar and a quick team talk before the first morning of the show, you’re sitting around waiting for your stand builder to finish building the stand before you can even start. You get excuse after excuse, but this doesn’t prevent a late night, missed dinner, rushed team talk and bleary eyes in the morning after finishing at midnight. Not to mention all the overtime that now has to be paid because of the late set up. Not the best start to the show. We agree, which is why we came up with our Money Back Guarantee. It’s quite simple: if we have agreed a time for you to begin setting up your stand and you can’t do so because it’s not ready, then you decide how much of the balance payment for your stand you will pay. No arguments from me; no haggling – your choice. If that means a 50% reduction for your stand because we ruined your set up, then so be it. Too good to be true? You get it in writing, signed by the ‘MP’ of MPD. We’re that confident. For more information click here to read more about our unique Exhibition Stand Handover Time Guarantee. 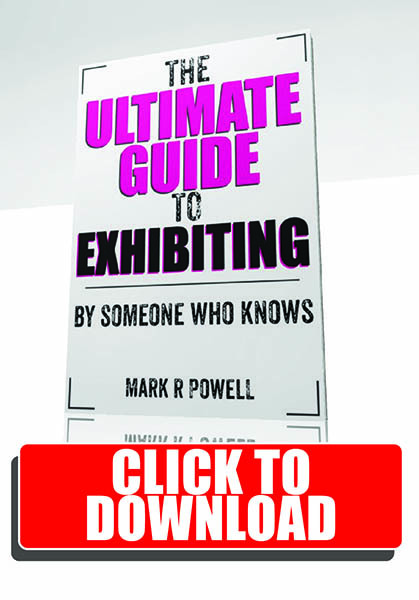 As we love to help so much, we’ve also written The Ultimate Guide to Exhibiting to help you through every step on the way to running your next exhibition stand. Simply click the book cover image to tap into nearly 30 years of exhibition stand design and build knowledge from one of the UK’s leading exhibition stand designers. Split into three sections – the 9 steps to Stress Free Exhibiting, The 6.5 Secrets to Exhibition Graphics and The Designer’s Guide to Maximising Your Exhibition Stand Budget, there’s something there for everyone, whether it’s your first custom build stand or you’ve been running a huge worldwide events programme for years.